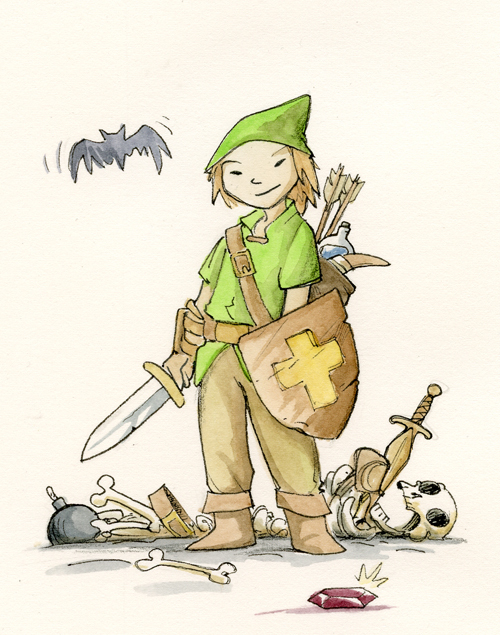 “The Legend of Zelda” by Ben HatkeI think the original Legend of Zelda is a perfect game. 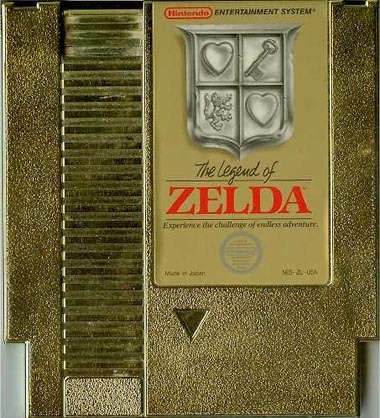 With it’s 8 bit graphics, midi-symphonic music, and gold casing, it’s everything I’ve ever wanted in a video game, and even though it’s the only Zelda game I’ve ever played (I don’t play a lot of video games), I can see why it spawned so many sequels. I recently spent an afternoon at a friend house just to watch my old college roommate play through Legend of Zelda. When that title screen came up, with the questing music and the waterfall and the Triforce, I was, just like every time, transported back to the first time I saw this game (at my aunt’s house where my lucky cousins had their own Nintendo). But my love for Link is more than nostalgia! Link’s first quest had great gameplay, but I think it also has two important things going for it. The first is that the game struck that balance of design and story information that I think does the best job of engaging a player. Calista Brill has mentioned this balance with Doctor Who and storytelling. Jerzy Drozd mentioned the same thing in regards to Battle Beasts and other 80’s toylines. There seems to be a magic amount of visual and story information, a sweet spot, always with a certain amount withheld, a little vagueness around the edges, that invites the reader/player to participate -to make the story his own. The second secret to the game’s success is that, like all good stories, it was based to some extent on the real boyhood adventures of the game’s creative director, Shigeru Miyamoto, who tried to recreate the feeling he experienced as a boy wandering through fields and woods. 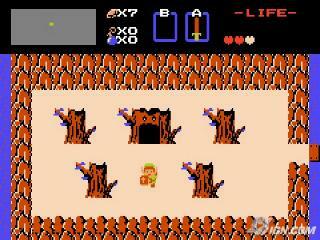 We were all Link, slaying Octoroks and looking for hearts. And we all had our own vision of Link. 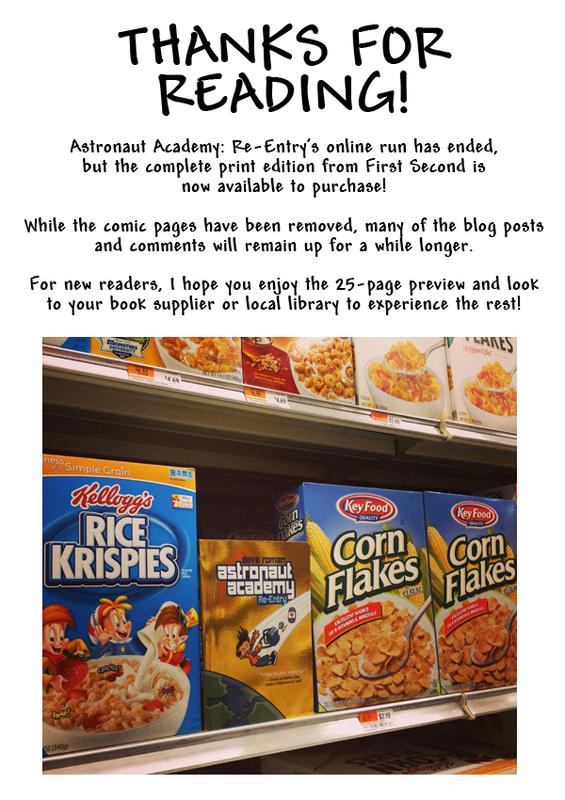 Ben Hatke is the creator of the Zita the Spacegirl graphic novels and a contributor to the Flight Anthologies. Ben learned painting through studying the Italian Masters and by training at the Charles Cecil Studios in Florence. 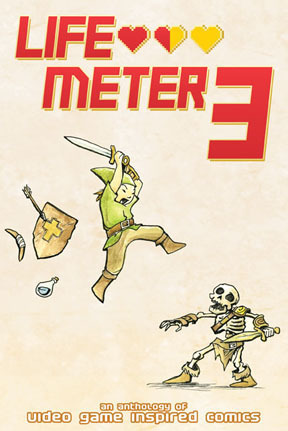 He also contributed the amazing cover to Life Meter 3 (seen above). Yeah, the DEFINITELY know what’s good for their students! “Stupid acronyms” = Comedy gold! not sure if it even is legal…i think the first amendment protects it…?